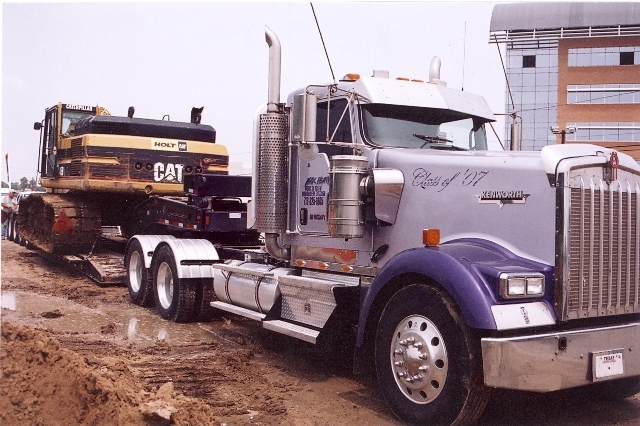 Max Heavy Haul, Inc. has been in the business of hauling heavy equipment in the Houston, TX area since 1991. Throughout the state of Texas, we specialize in construction hauling needs such as excavators up to PC 400s, dozers, loaders, trench boxes, and containers. We have RGNs and Flatbeds. Our drivers are TWIC Certified!! Contact Max for all your Construction hauling needs. Copyright 2012 Max Heavy Haul, Inc.. All rights reserved.